Successful WordPress development can be a daunting task for the novices. For them, it takes lots of time, effort, and determination. It’s simply wastage of time to search for an easy checklist. Going strategically will be the smartest option to become an accomplished WP developer. Since WordPress is considered to be one of the best Content Management Systems, it prompts numerous individuals for getting the opportunities for becoming a successful developer. But how will you get the most out of this opportunity? How will you become a WP pro? You must spend a fixed amount of time daily on reading about WordPress as there are many new tools and features launched every new day. Start reading blogs and articles that tell about WordPress. You may find it difficult for the first time, but in order to master this platform, there is no better way out. If you are planning to become a top-notch WordPress Developer, then you must join some communities of qualified designers and developers who prefer hanging out and sharing their knowledge. Follow their instructions, read their interviews, follow them on social platforms like Twitter, attend their different conferences, and so forth. Always search for the new channels so that you can get some worthy information and get to know something new. It’s better if you follow their recommendations and give them a feedback. This way, you can communicate better and solve all your issues which will help you in your personal development. In order to become a successful WordPress developer, you must learn all the necessitous technology. If you already know PHP or MySQL, then it’s great for you. Ensure to update your skills regularly. Do start learning if you don’t have knowledge of programming. You also need to be familiar with codebase if programming is new to you. The experiment is required if you want to master the WordPress development. Hence, use all the quintessential sources for reading up-to-date materials regarding WP. Practice will improve your skills, so don’t forget to practice whatever you learn. Use your experimentation on your own projects and try to boost your skills in every little way. In order to become a great WP designer, you need a vast amount of knowledge, practice, and experiments. These are the keys to unlock your success and help you become the leader of the development industry. However, you must always be prepared for showcasing your dedication and true ambitions. Else, you will not be able to leave your comfort zone, becoming just a designer with occasional assignments. Albeit I am not a big fan of forums, I will suggest you join if you want to correct your inaccuracies. In terms of learning, sometimes you need to join these communities for falling into other people’s errors. The best way to become a leading developer, you should identify other’s mistakes and help them solve their errors.Forums will always be helpful for getting useful info and assessing if anything is not working. You will be even able to find some good contacts in the industry. There are many websites which provide total courses on WP as well as other programming languages. In fact, recently some have appeared and are exceptionally good. I would recommend you to follow any of these tutorial sites as these are fun-filled and simple to learn and understand things. Even I followed so many tutorial sites to learn and grow my skill set. The phenomenal advantage of following these sites – albeit they cost you a little – is that you are going to get an across-the-board learning. Ensure to learn all languages in a good system so you can move forward easily and quickly. As you have continued to learn new things and put whatever you have known into practice on a daily basis, the further step will be becoming an active member of the WP community. You might know phenomenal WordPress development, but it will not be taken as valuable if nobody knows about you. Spend some time in this community and share what you know. Attend all the WordCamps, contribute to the forums, and participate in the online forums. 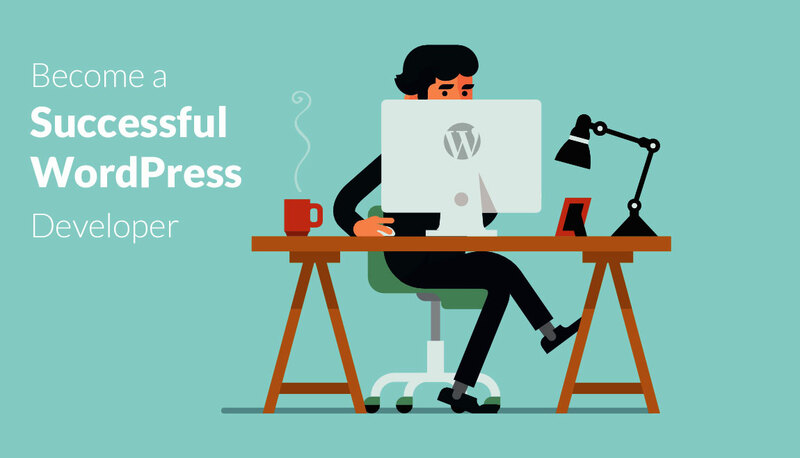 These all are the crucial steps to master WordPress development in the industry. Becoming a top-notch WP developer needs willingness for doing hard work and a mindset of constant enhancement. It begins with the concentration on regular learning and then moves to the real-world experiment. Ultimately, it demands high dedication to your responsibilities to master this field. So, what about you? What are your suggestions regarding this? Share your opinions with me in the comment section below.